Opening up your kitchen can be one of the most rewarding things you can do to your home. Closed-off kitchens were a design of the past and an open kitchen with islands are the new thing these last few years. Some of the benifites of kitchen remodeling is that it can significantly increase the resale value of your home, much of the cost of the kitchen remodel can be recovered when the home is eventually sold, and homes with remodeled kitchens sell faster than similar homes that are original. 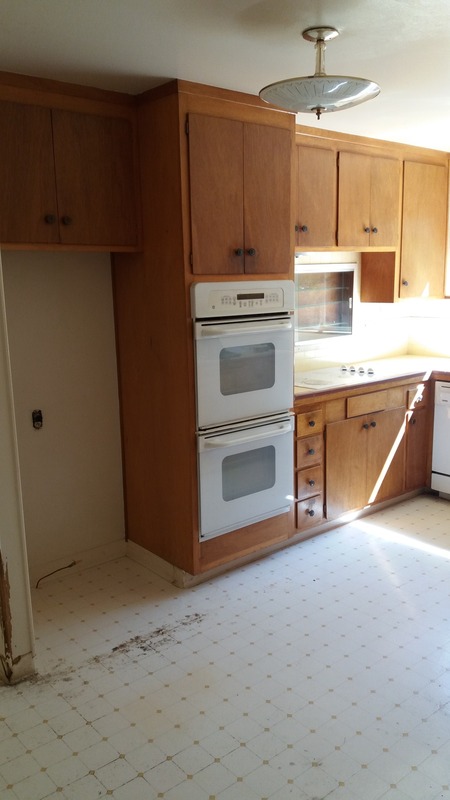 Pictured below in this Martinez, ca kitchen remodel is the kitchen wall before we removed it. This was actually a load bearing wall, and a 4×14 glulam was put in place to support the ceiling joists. 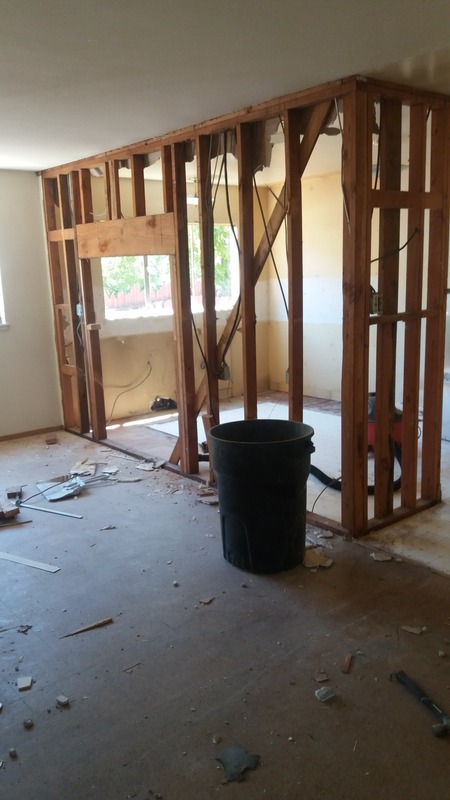 GKing Construction did extensive remodeling at this property! We changed the window sizing, rewired the entire kitchen. textured the entire home, increased the kitchen drain sizing and relocated it, installed recessed lighting, installed new cabinets, granite, and flooring and baseboard throughout and did two bathroom remodels as well as a whole lot of dry rot repair. After we were finished, the kitchen turned out beautiful. 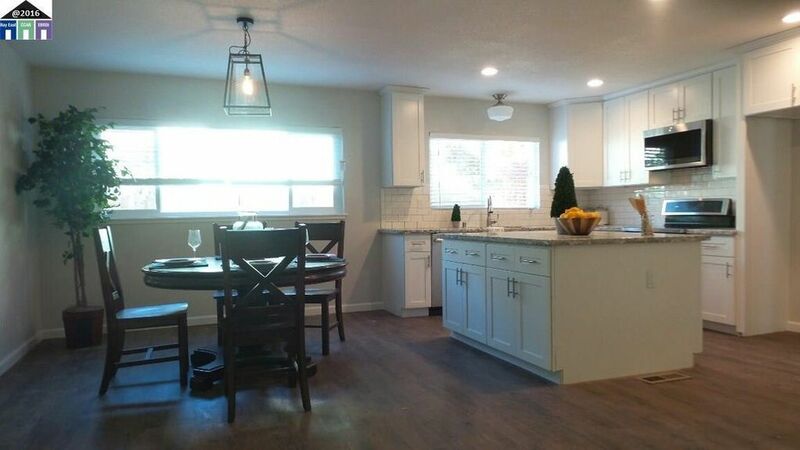 Not only the kitchen, but the entire home since this was a full on whole house remodel. It was listed and sold immediately. Yes, almost unbelievable but this is the same house.